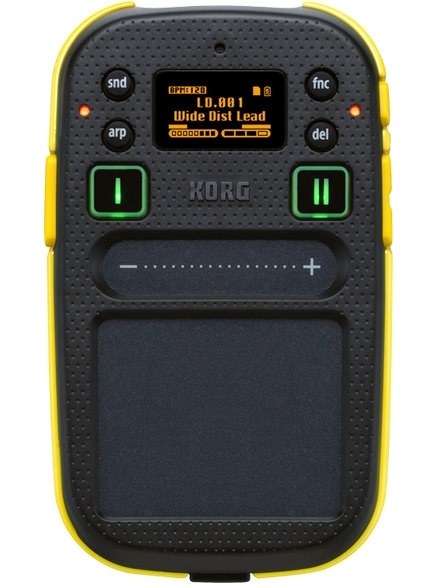 It’s a totally new KAOSSILATOR! 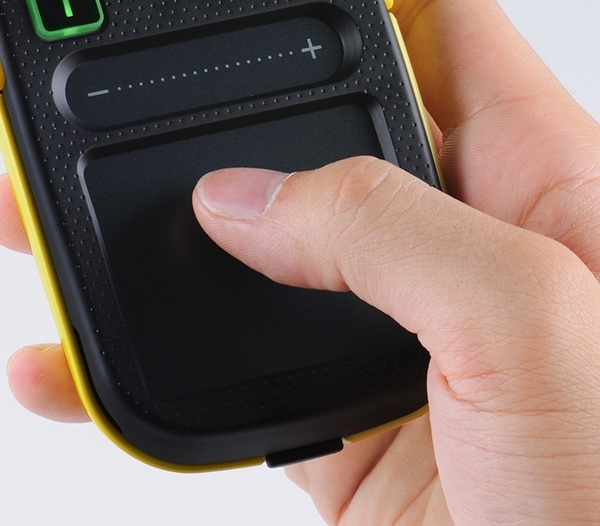 — the palm-size phrase synthesizer that can be played by anyone, at any place, and at any time. 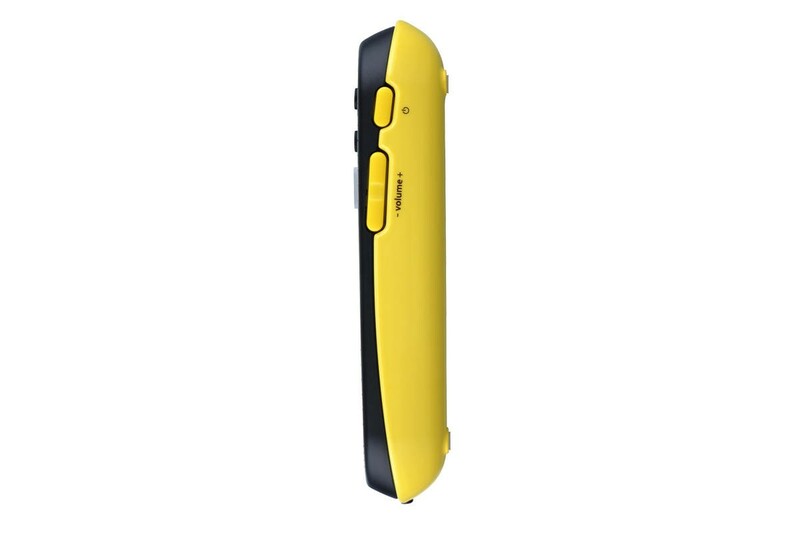 Introduced in 2007, the KAOSSILATOR has won high acclaim as the original gadget instrument and gave rise to the KAOSSILATOR PRO and iKaossilator for iPhone. 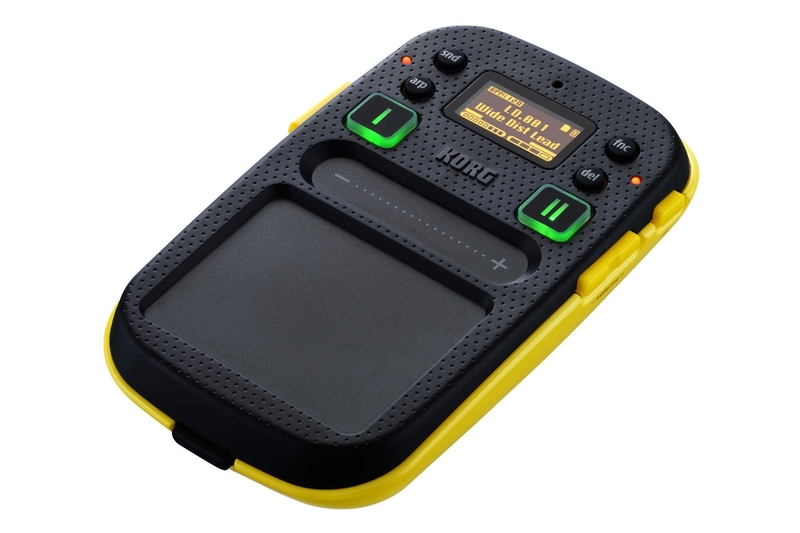 Now say hello to the impressive KAOSSILATOR 2. Boasting a powered-up sound generator, KAOSSILATOR 2 delivers synth and drum sounds spanning a wide range of genres, plus dramatically expanded loop recording. 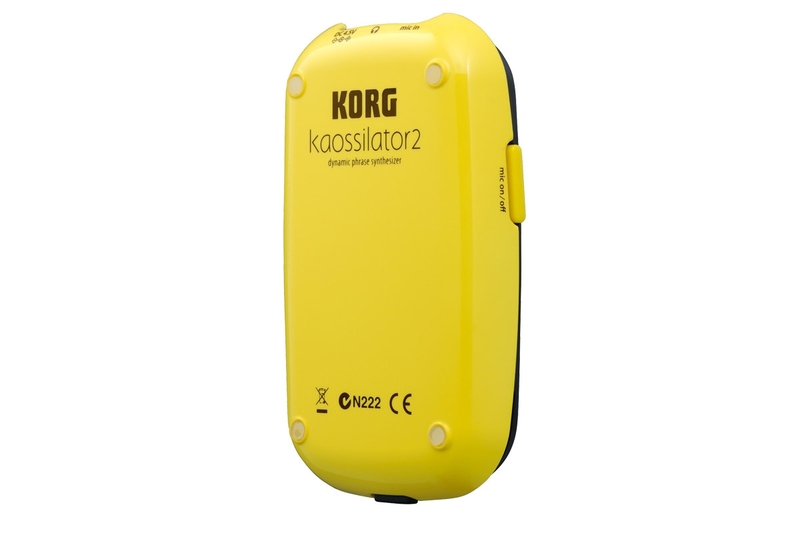 KAOSSILATOR 2 is packed with capabilities that can be enjoyed alone on or together with other people. Use two loops to create DJ-like mixes. Use the internal mic to record guitar, vocals, or other audio sources – just like a looper effect. The Organic Electroluminescent (OEL) display provides superb visibility. 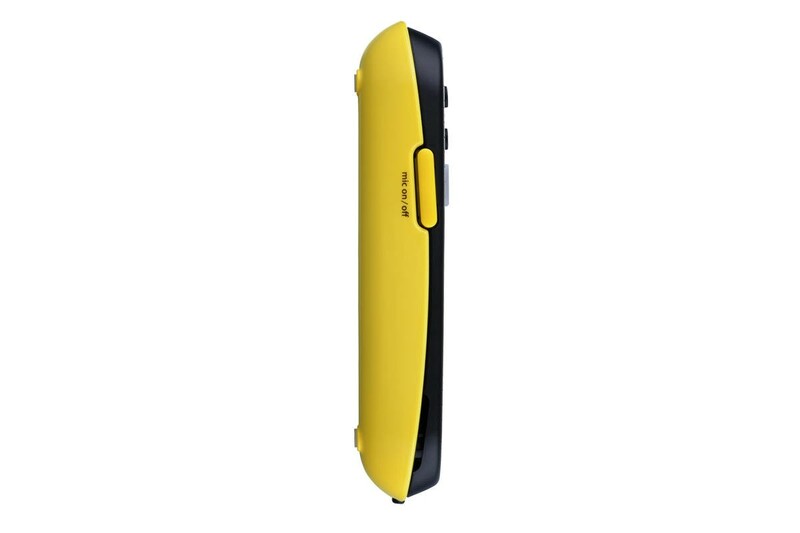 Add to that a touch slider for ease of use, microSD card data saving, plus a built-in speaker and mic. 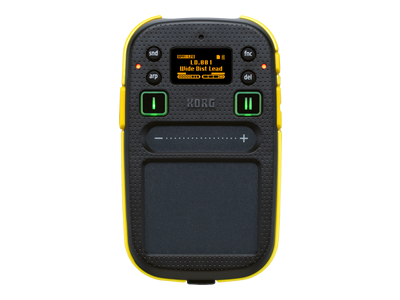 All of these features reflect the enhancements incorporated into the sleek and exciting KAOSSILATOR 2. The unique interface allows melodies and phrases to be played by simply stroking, tapping, or rubbing the touchpad. Horizontal motions control the pitch; vertical motions control aspects of the tone such as filter cutoff, feedback, or modulation depth. When using a drum kit program, multiple sounds can be played simultaneously, and you can even play the touchpad as if it were a drum pad. The intuitive design and amazing flexibility of the touchpad allows users who are not keyboard players to perform easily, as well as creating performances rich with tonal changes that could not be produced on a traditional keyboard instrument. PCM sound generation provides drum sounds and drum performances that are more realistic than ever. There are 15 Drum Kits in the KAOSSILATOR 2. Each Drum Kit consists of instruments like the kick, snare, and hi-hat. In addition, there are 25 Rhythm Loop patterns that let you create drum phrases simply by moving your finger. The lineup of sounds covers numerous genres, so you’ll be sure to find the drum sounds you need. 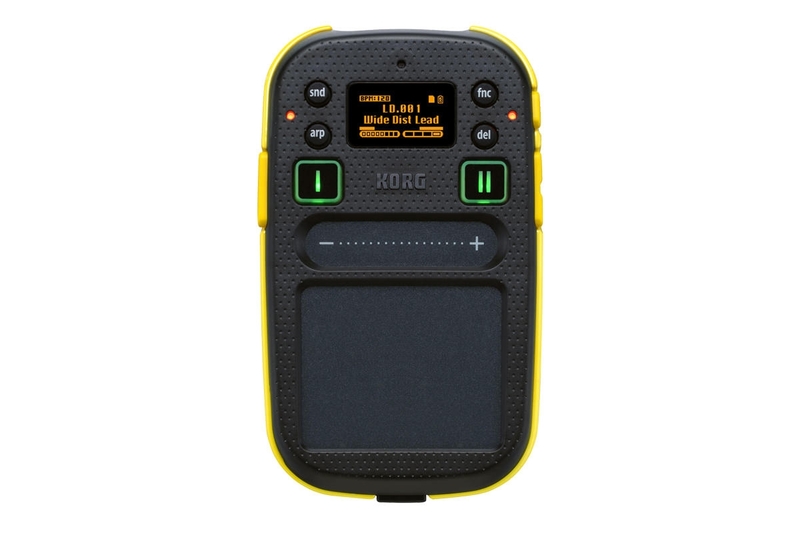 Even if you’ve never played a musical instrument before, the KAOSSILATOR 2’s Key and Scale features ensure that the notes being played will match the song being performed. Use the Key setting to specify the musical key or “root.” Choose from any of the 35 included scales, ranging from popular scales such as chromatic, major pentatonic, and minor blues, as well as unusual scales such as Spanish, Ryukyu, and Raga. By using both the Key and Scale settings to match the song, you can play perfect solos without a single wrong note. 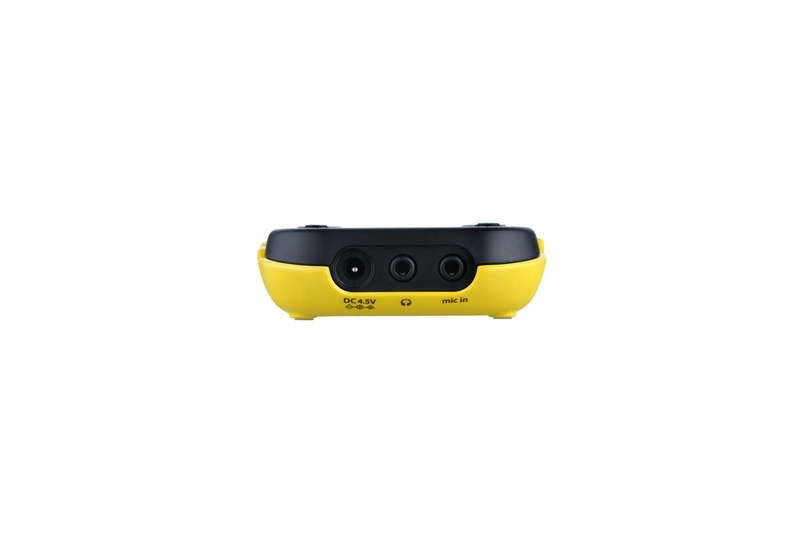 In addition, the Note Range allows you to specify the range of playable pitches. You can set this to a narrow range to ensure that melodies will be played accurately as you intend, or to an extremely wide range to allow unexpectedly dynamic and unconventional phrases to emerge. The fifty built-in gate arpeggiator patterns can automatically generate phrases and beats by simply moving a finger across the touchpad. As a new capability of the KAOSSILATOR 2, you can now edit the arpeggiator’s gate time and swing settings so that musical phrases are created exactly as you intended.